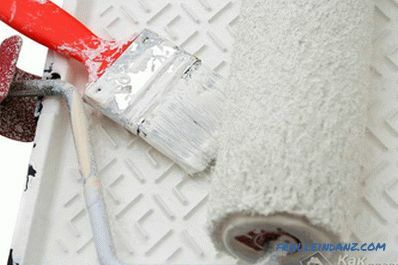 Today, the surface can be whitened not only with lime, but also with the help of resistant water-based paint. This type of finish does not require special knowledge. Whitewashing can be held in your apartment by anyone. First you need to prepare the surface. The whole preparatory process can be divided into several main stages. Surface cleaning. At this stage it is necessary to remove the old layer of paint or lime. Then you should carefully examine the ceiling for the presence of stains. All stains need to be removed. Special attention should be paid to rusty and greasy marks on the surface. Such stains are not easy to remove. Have to use special solutions. Divorces, as well as traces of rust are removed using vitriol solution. First, the surface is washed with plain water. Then you need to take hot water, dilute the vitriol in it at the rate of 70 grams per liter, and finally remove the traces with this mixture. Grease stains are best removed with a solution of calcined salt. Often on the ceiling you can find a layer of soot. It is removed using a weak (2%) solution of hydrochloric acid. Preparing the ceiling for whitewashing does not end with cleaning it from stains. When the surface is dry, various cracks and defects can be found on it. 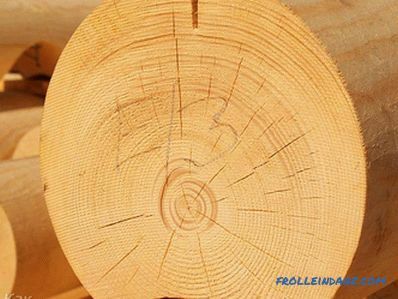 They will not only cause various problems with the coating in the future, but also spoil the appearance of the ceiling. Therefore, they need to be repaired. To do this, use putty, which can optionally be done at home. After the putty has dried, apply a layer of primer on the surface. The primer can also be made independently. 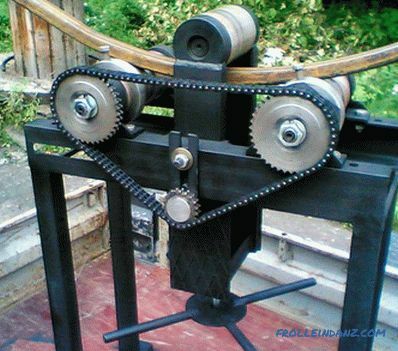 For making reliable and good putty can use a minimum of components. We need to take wood glue, plaster and chalk. All components are mixed in a ratio of 2: 1: 2. 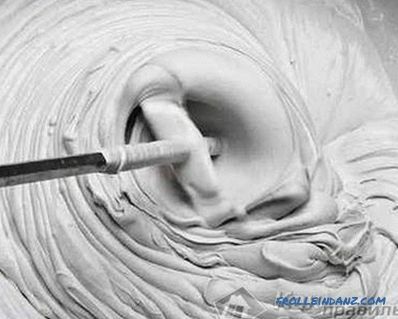 If there is a need for a liquid putty, then the composition is diluted with water. The composition described below can be used as both putty and primer. 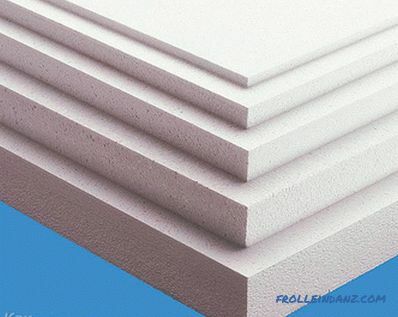 It is suitable for sealing gaps, and to cover the surface with a thin layer. It is necessary to take 2.5 kg of hydrated lime and dilute in 5 liters of water. Then, 70 grams of ordinary table salt is diluted in hot water. The diluted salt is added to the lime solution. The composition is mixed and allowed to stand for a while. Then you need to add water to the composition. It should be a 10-liter volume of the mixture. Now you need to take a half liter of wood 10% glue. 150 grams of chalk is added to the glue. Then 10 liters of the mixture must be passed through a fine sieve. As a result, a thick mass will drain. In this mass pour glue with chalk. Home primer Whitening of the ceiling without a primer is not possible. One of the most reliable recipes priming composition includes linseed oil. To prepare the mixture, take 3 kg of hydrated lime, Oksol soap and linseed oil. Soap (about 150-200 grams) must be diluted in three liters of hot water. A linseed oil is added to the soap composition. Lime is diluted separately in 4 liters of water. Now you need to combine both the composition, mix and add water. The total amount of primer obtained is at least 10 liters. Chalk composition. To prepare the mixture, sifted chalk and wood glue diluted in hot water are taken. To the surface had a pleasant shade, you can add a bit of blue to the mixture. The most important thing is to put not too much coloring material, otherwise the ceiling will look gloomy. So, about 15-20 grams of blue is taken for 5 liters of water. Ingredients of hydrated lime. In order to prepare a good mixture of lime, it is necessary to dilute the hydrated lime in a small amount of water. In the same composition add salt, a little dye and potassium alum. It is necessary to take: lime - 3 kg, alum - 200 g, salt - 100 g. When the mixture is ready, it is necessary to bring its volume to 10 liters. 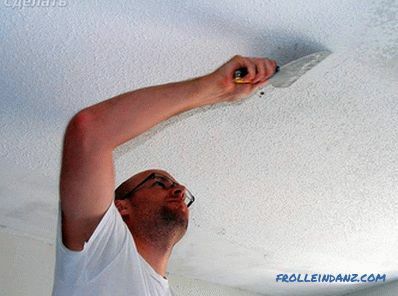 The finished composition is applied to the ceiling with a roller. 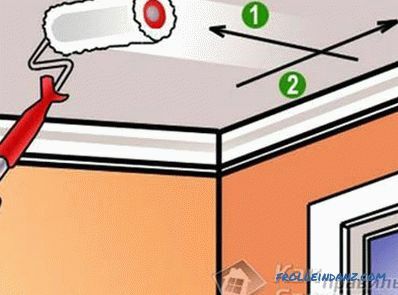 It is advisable to close the walls if they are already finished and the ceiling is painted separately. 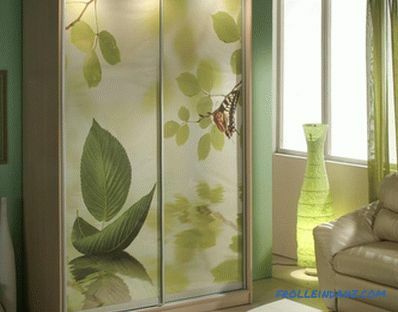 If the sun's rays penetrate into the apartment, then it is better to cover the windows. The drying process must be natural. Drafts also should not be. Otherwise, the surface may be uneven. Whitening with water-based paint it is made a little differently, but does not represent special difficulties.It is enough to find out a number of nuances when working with this coating. 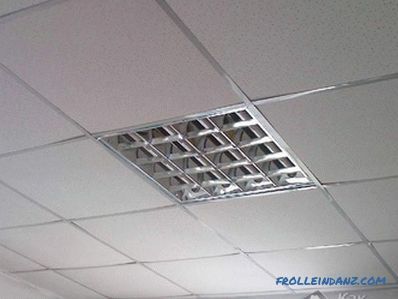 The ceiling must be cleaned to the ceiling plate itself. When the surface is cleaned, it is primed with a shop primer. 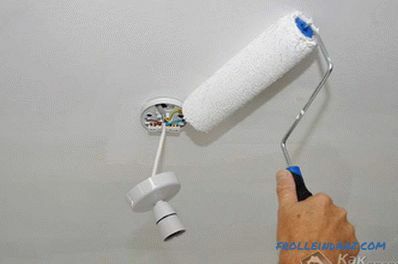 It is better to buy ready-made mixtures for paint. All irregularities and cracks are filled with putty. After the putty has dried, it must be sanded. This is necessary so that the surface is perfectly flat. Otherwise, the edges of the filled cracks will be visible under the paint. For grinding apply special mesh. At the last stage, the coloring composition is prepared and applied. The paint consists of two parts: the actual coating and color scheme. Kohler allows you to give the surface any shade. You should be careful with the color scheme, as well as with blue when preparing the chalk composition. The most important thing is not to overdo it, otherwise the color will be too saturated. 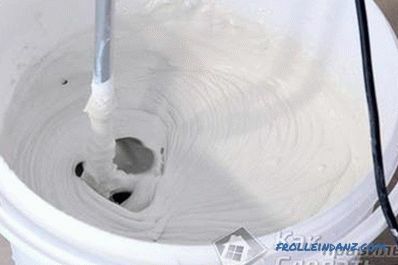 Whitewashing The dye can be applied up to three times. The best option - twice. During one staining session, the composition is applied only in one direction. When the paint has dried, then the second layer can be applied in the other direction. If after two staining the entire surface is processed, then there is no sense to apply the third layer. However, if the unpainted areas are visible, they must be painted. 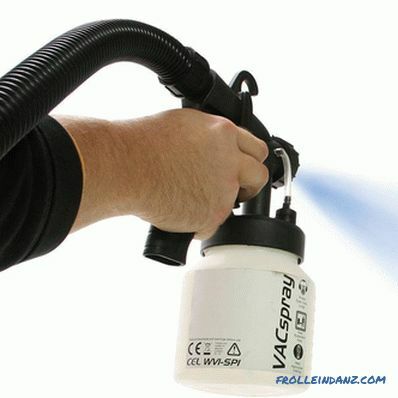 Inaccessible surfaces are usually brushed, and the main part of the ceiling - with a roller. Can the ceiling be painted without washing the old whitewash? There are some situations that allow this. For example, if whitewashing keeps well. You can also paint on whitewash in those cases if the old layer does not lag behind the concrete slab, if there are no cracks. But the decision to paint on the old whitewash depends largely on what the ceiling was painted earlier. So, if chalk was used, then it is impossible to use lime otherwise ugly stains are formed on the surface. The same applies to the case when the ceiling is painted with lime, should not be whitened with chalky compositions. It is best not to apply a repeated layer of whitewash on the old coating. This is explained by the fact that over time it loses its adhesion properties and, when painted or after a short time, can simply crumble. How to determine how the ceiling was painted earlier? Enough to hold a dry finger on its surface. If the finger became white, then whitewashing was carried out with a chalk-based composition. If the coating does not stain your finger, then, most likely, there is a lime on the ceiling. She definitely will not withstand re-staining, since it will completely crumble. Therefore, it must be completely removed. 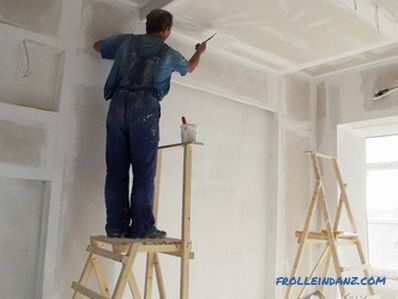 If water-based paint is applied to the ceiling surface, it is also recommended to remove it from the surface of the ceiling, especially those places where it began to peel off from the base.